Here is the dazzling saga of two women: the brilliant, bookish Elena and the fiery, uncontainable Lila. Both are now adults; many of life's great discoveries have been made, its vagaries and losses have been suffered. Through it all, the women's friendship has remained the gravitational center of their lives. Both women once fought to escape the neighborhood in which they grew up - a prison of conformity, violence, and inviolable taboos. Elena married, moved to Florence, started a family, and published several well-received novels. In this final book, she has returned to Naples. Lila, on the other hand, never succeeded in freeing herself from the city of her birth. She has become a successful entrepreneur, but her success draws her into closer proximity to the nepotism, chauvinism, and criminal violence that infect her neighborhood. Nearness to the world she has always rejected only brings her role as its unacknowledged leader into relief. For Lila is unstoppable, unmanageable, and unforgettable. 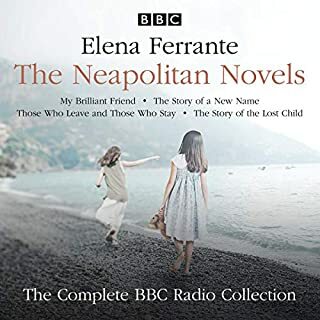 Against the backdrop of a Naples that is as seductive as it is perilous, the story of a lifelong friendship is told with unmatched honesty and brilliance. The four volumes in this series constitute a long, remarkable story that listeners will return to again and again, and every return will bring with it new revelations. This amazing series about the friendship of two women is not to be missed. Yes, it's long but well worth your time. I believe that most women can relate to these two women's friendship which actually isn't too friendly at times. ...can you relate? I'm so happy I listened to this intriguing story. This was kind of a hard series to get through. The books are long and there are a lot of characters to keep track of. But this last one was the best of the four. 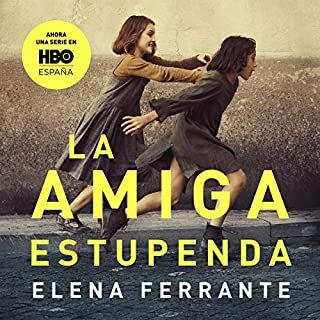 This one tells the story of Elena and Lila in their 30s into their late 50s. Their children grow up, their relationships change, success finds and eludes them. It shows the ways they mend the breaks in their friendship, and it finally gives more insight into Lila and explains, at least to me, more of why Elena and everyone else seemed so enamored with her. For as much as I've complained about the length of the series, this one leaves me wanting more. I've just finished all four of these beautiful books and I think I'm going to start all over again. What an incredibly moving, terrifying, wonderful and heart wrenching story. As well, Hillary Huber should narrate all audio books she's so fabulous. The best of the series. But should be read after the others to get the full impact. This book is more tightly written than the others, yet thoughtfully presents mature reflections on all the themes. Characters are put into perspective as is are the political waves that flowed beneath the personal stories. The tensions of so many lives begin to settle into a calm of mature age, still active but no longer frantic. Ferrante has done justice to the story of her city and to the characters lives and passions. Brava. A stunning series - without equal. I hesitated to start this series because I thought it would be too light. I was wrong. The 4 books together have an emotional heft that's hard to describe. They provide a glimpse of life that's brutally honest. From the reviews, everyone already knows this is a series about two women friends. And it is. But it's also about expectations, potential, loss, families, drive, intelligence and insanity. They're BIG books in every way. When I wasn't listening, I thought about the characters and couldn't wait to get back to them. Yet, it's not all goodness and moonbeams. I was reminded about some tough times and rocky relationships -- and found new insights about much of it. The narration suited the books perfectly for me. I needed that calm delivery and it never felt like it was a performance. Perhaps more than anything, I appreciate Ferrante's ability to wrap things up. Though I've missed the characters terribly since I finished, I really felt like it was done. No loose threads. It's a remarkable achievement. I liked the story overall, at times I got annoyed with Elena, then I remember I can get annoyed at myself at times.. This was my favorite book an a good wrapping for the whole story. This review relates primarily to the entire 4 book series. If you are reading this, and haven't read 1-3, just know that the author intended all 4 to be read as one novel; none stands alone as particularly spectacular. As a whole, they are the best bildungsroman of a writer that I can recall. 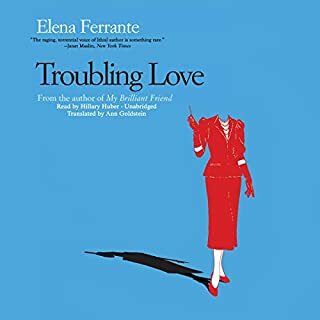 Ms. Ferrante has intrigued me in my reading experiences as has no other female author or has just about any male writer. I imagine Charlotte Bronte would have written such brilliant, introspective, perceptive and at times sexually provocative prose if the style had been around way back then. For some reason, I've just not connected on such a personal, human level with Woolf or superb female authors out there, past and present. "The depth of perception Ms. Ferrante shows about her characters' conflicts and psychological states is astonishing.... Her novels ring so true and are written with such empathy that they sound confessional." Wall Street J. 'If you haven't read Elena Ferrante, it's like not having read Flaubert in 1856...Incontrovertibly brilliant." National Post. ‘The older you get, the harder it is to recapture the intoxicating sense of discovery that comes when you first read George Eliot, Nabokov, Tolstoy or Colette. But this year it came again when I read Elena Ferrante’s remarkable Neapolitan novels." New Statesman. 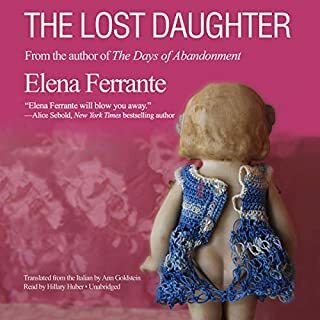 I was dazzled and allured by the female intelligence and wit of Ms. Ferrante's writing, which never surrendered to the"sappers of suspended disbelief": the syrupy, overly sentimental, melodramatic, overdramatic, verbose, obscure, esoteric, arcane, pleonastic or the plain hogwash. I think this was a fitting conclusion to the 4-part novel. Though I'm still mystified by the human psyche of the female drawing them to men who will hurt them. 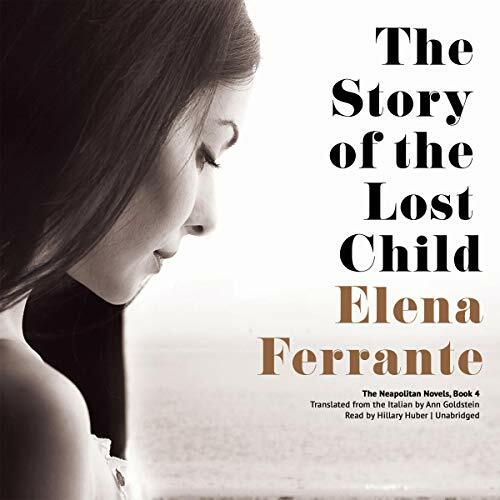 The four Neapolitan Novels of which The Lost Child is the last are absolutely wonderful books. The are extremely well written and in the case well narrated. I loved the story and enjoyed the thought provoking insights. I recommend these books wholeheartedly. A classic. Fascinating, moving. A bit long and sometimes redundantly, just like life. Superbly read. 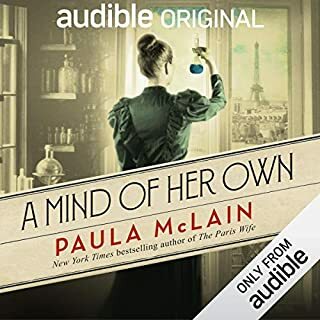 Enjoyed book one very much, as it evoked the era and captured the atmosphere well; the characters were well developed. However, by the fourth book they became caricatures and the narrative repeative. The ending was especially poor; a build up which did not deliver. NB: an alternative narrator would be preferable. Beautifully written story. Taking one into the unconscious realms of the mind. This book in particular would have benefitted from an English speaking Italian narration. The content is so evocative of Italy and Italians it was slightly annoying having an American reading. excellent reading of the shocking conclusion . The fascinating continuation of this powerful, intriguing story of two women. the most shocking events bring the book to life, though I found some sections overly and repetitively self reflective. How grim a read. How depressing, negative, bitter, malicious in almost every way. And the style was either painfully staccato or else drawn-out metre with interminable clauses and sub-clauses. I could not wait to finish. The author was such an unlikeable character I could not empathise the slightest with the ongoing misery, egocentric-driven neglect, jealousy.... Grim grim grim. I've just finished book 4 & I don't think the author's finished her story. I wait for the next book with anticipation. Bitter sweet end to my love affair. Performance consistent and credible. I will miss you Hillary! I love these books. I came to them reluctantly, hating to follow the crowd, but I would, and frequently do, wholeheartedly recommend them to friends. The writing is wonderful without being self-conscious. These are truly wonderful books. Weeks after reading them I am still in that Neapolitan neighbourhood, surrounded by squalor and violence to witness the palpable yearning of two little girls whose ambitions could not be contained within its boundaries. A superb read! After reading the four volumes I now feel I've actually lived through all these experiences which will stay with me forever! Loved the story but really disliked the narrator. At times it sounded like an automated voice. Awful.